Very clean and there was a beautiful terrace! I was able to leave my luggage there after check-out while I travelled around Pompeii. Breakfast is at a restaurant that is opened just for the guests, and absolutely amazing. I recommend here!! 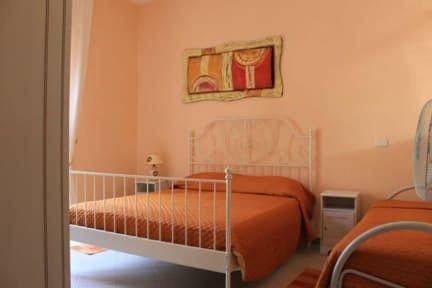 AMAZING bed and breakfast located in the center of pompeii near all the touristic attractions and restaurant. The owner is lovely and she is helpful in answering questions for the touristic attractions. I’d say it’s THE BEST one we booked threw hostelworld so far. I highly recommend it and their restaurant is also amazing ! The hostel is very nice and the staff is very friendly, the breakfast is included and is of good quality, the location is close to the main square and the cathedral wich is the center of the city. My family and myself were very happy at this place, totally recommended. This hostel is so close to everything (food, drinks, the Pompei ruins, ect.) The owners were lovely and provided a breakfast at a local restaurant and tips on how to get around. We loved this hostel! Fantastic central location. Comfortable room. The only gripe we had was our hot water ran out after one shower. Not sure why - am sure it will get looked into. Great welcoming helpful hosts. Breakfast is everything you need - including being waited on and fresh coffee from the espresso machine. In their family restaurant across the road. Go there for lunch or dinner too - excellent value pizza and pasta. Our host was so wonderful. She gave us great advice on what to see and directions. Breakfast was served in her families restaurant each morning and it was delicious. Highly recommend staying here. 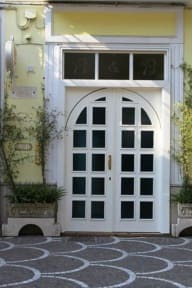 Staying at B&B gallery was a peaceful and chilled out way to end my 2 week trip in Italy. Liliana is a fantastic host with some lovely apartments in a quiet location in Pompeii. I was so grateful to return to a clean, air conditioned room after walking around the ruins and Vesuvio for hours. Thank you again for your warm hospitality and lift to the airport! Great family business. The couple running it were excellent. We were made breakfast for free and they provided us with excellent local knowledge. Our room had everything needed. Good because it is close to the ancient city but the room was very cold and the beds were hard. The shower was also broken for two days. They had a great terrace, sadly the view of Vesuvius was blocked. Also wifi was bad.